Experts estimate that by 2030 the aging tech industry will be a $30 billion market. It is remarkable the new technology continuously created that offers seniors increased safety, improved levels of senior care, and peace of mind for family members and caregivers. 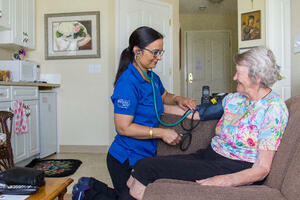 Here are a few of the advances that are currently improving senior care. On average, a person over the age of 65-years-old takes up to five medicines a day. Digital pill dispensers like MedMinder help seniors (or their family members) to manage medication intake. This medicine tray is filled with the appropriate pills and dosage, and the schedule is programmed online. At the scheduled times, the dispenser flashes to notify the senior. If the senior fails to take the medication, the machine will beep and be followed up by a prerecorded message in a family member’s voice. If the signal occurs and the medicine is still not taken, the family member will be called and notified. Often utilized in senior care communities and personal homes for family members to monitor; there are a variety of smart sensors available to detect senior activity levels. When senses a lack of motion, staff or family members may be notified and take necessary steps. KT, a South Korean IT group, has also developed an electric power consumption sensor. Often installed in the homes of older adults, or remote or rural areas, this data is sent to the local government office. If there is a discrepancy compared to their usual usage, a government official can respond. Constant connection – Wearable technology allows seniors to access assistance with the touch of a button! Furthermore, it keeps them connected 24/7 which gives extra peace of mind to senior care staff or family members. Allowing for a greater sense of independence, seniors since may go on walks or trips knowing they can quickly ask for help if needed. Proactive care – The more regularly a senior has on the wearable, the more data can be collected. 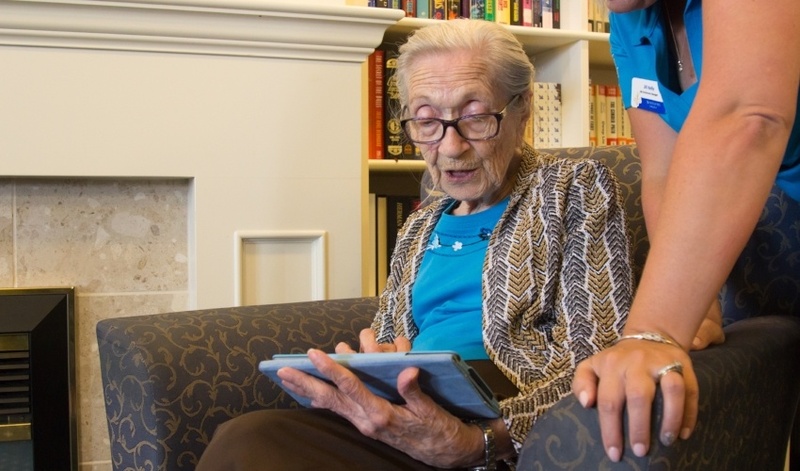 With more data, the device has a better understanding of a seniors daily life and routine. For example, if the wearable device is tracking fewer steps, more trips to the bathroom, or a lower heart rate, medical professions can take notice and proactively address health issues. A greater sense of independence – Even if your parent or family member is living in an independent living or senior care community, these wearables allow the senior to manage their own time and needs on a daily basis. With new technology discovered all of the time, the senior living industry continues to grow, and Origin Active Lifestyle Communities strives to integrate these changes into our communities. We create unique retirement communities that allow our community members to live full, active, and healthy lives. 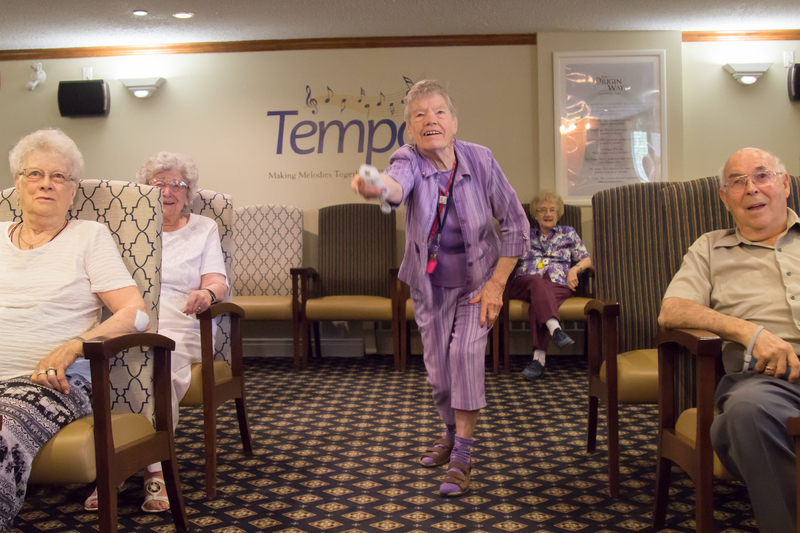 Visit one of our communities and discover a new way of life for the senior in your life!